The year 2018 has passed. It is worth reviewing the work and achievements of the past year. First of all, thank you for your attention and support in 2018. Ovonic cannot develop without you. In 2019, Ovonic will achieve global coverage of the market. The goal is turning an initial brand into a well-known brand. Everyone in the RC model industry knows it. These still need your support and encouragement. Ovonic was founded in 2018. It is intended to provide high-quality, affordable batteries. As we know, batteries are consumable. To save money on batteries is the biggest benefit for RC fans. This is also Ovonic’s original idea. Read more: What’s the Ovonic? 1.Established the Ovonic brand. And positioned it as a cost-effective RC battery. 2.Enhance user experiences. Ovonic created Ampow.com, an independent retail platform. After several revisions, now customers can place orders easily.You can receive products within 2-5 working days (usually 2 days). 3.Product line development. When Ovonic launched, it was immediately welcomed by many customers. 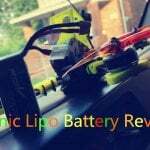 However, in the early stage, there were only 12 FPV batteries. 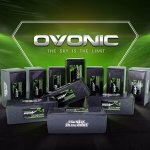 To meet the needs for more customers, Ovonic launched 46 batteries. 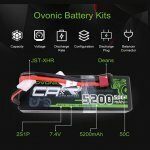 These batteries are suitable for RC car, drone, helicopter, airplane and so on. More models will be released in 2019.Wehope you will continue to pay attention. 4.The first step in globalization. To globalize the brand and bring the products to customers all over the world. 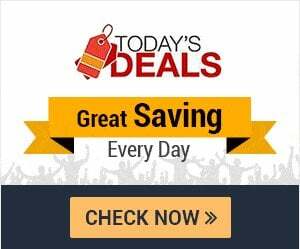 We will successively launch the global warehouse. In 2018, we have already launched the US warehouse, Canadian warehouse. In 2019, we will expand the scope, such as Europe and Asia. Accelerate the process of globalization. Ovonic will be better in 2019! Finally, We wish you a better year in 2019. Thank you again for your support over the past year.